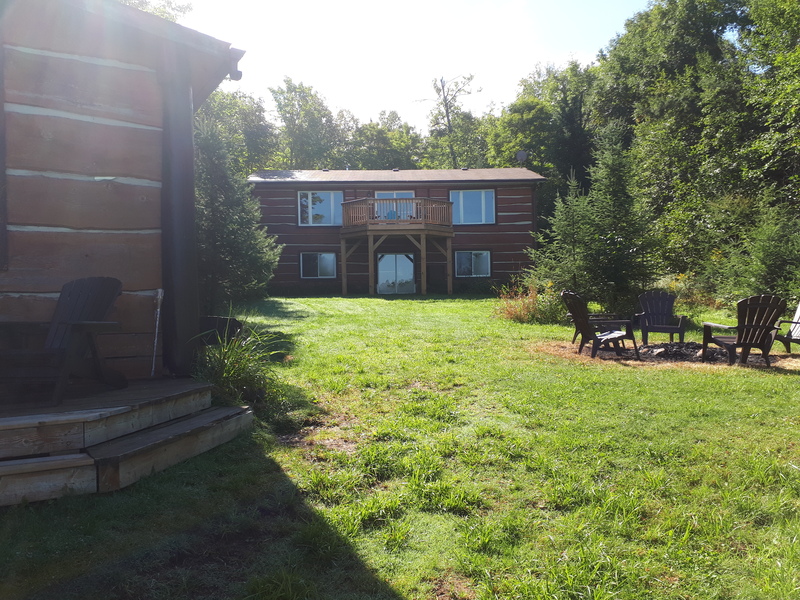 You will relax the minute you enter this charming, cozy log home. 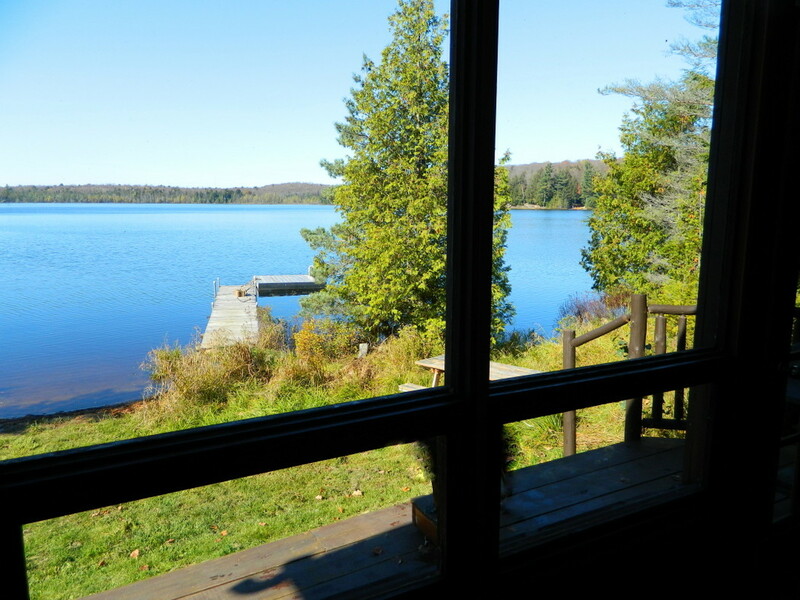 This 3 bedroom cottage sits perched above the shoreline of quiet Mirage Lake. 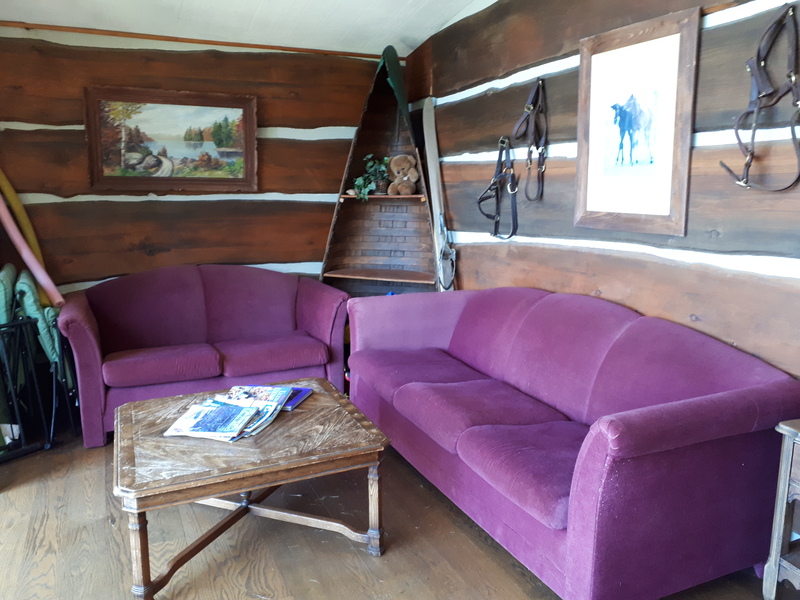 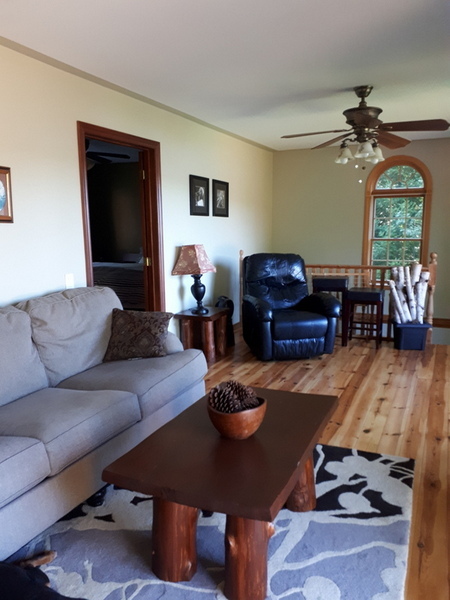 You will fall in love with the comfortable interior filled with tasteful art, rustic handmade local furniture and views of the lake from all entertainment areas of the home. 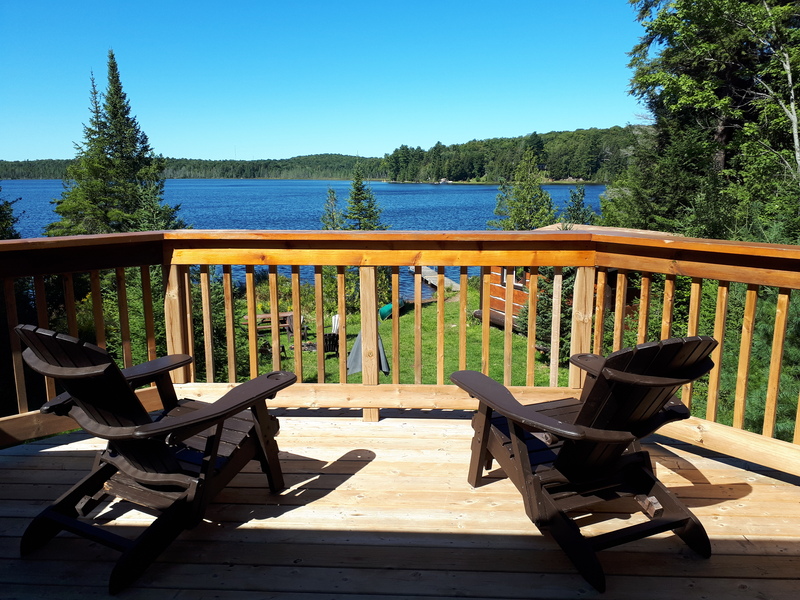 As you walk through the front stone entranceway to the open concept living room/kitchen, you are immediately greeted with fantastic views across the lake. 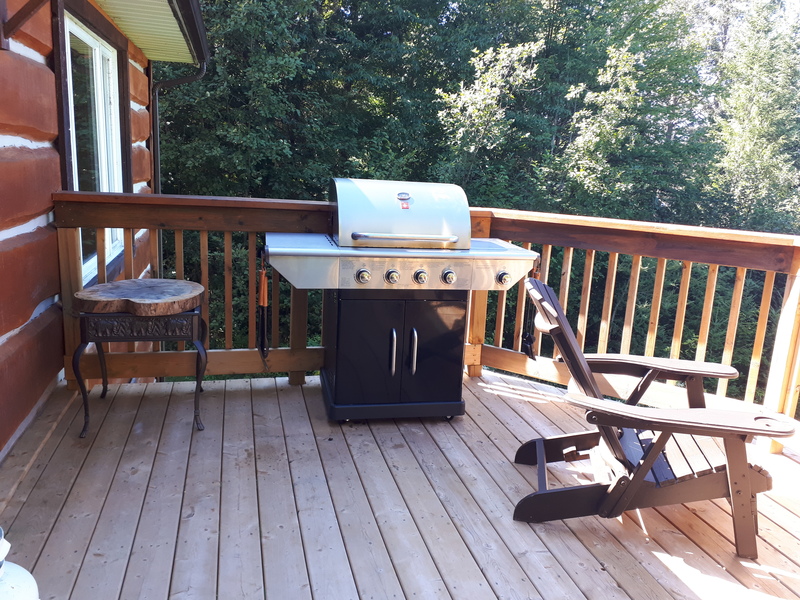 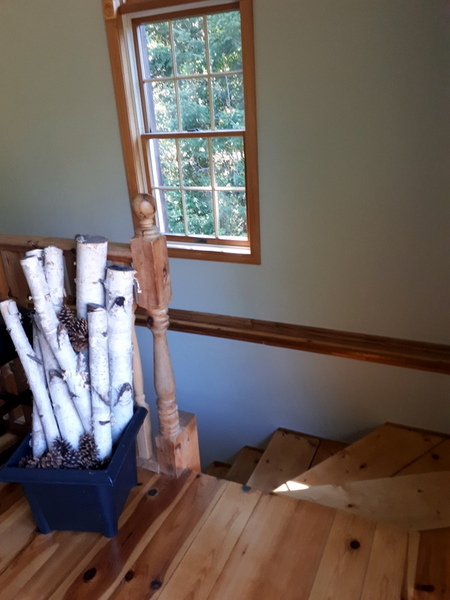 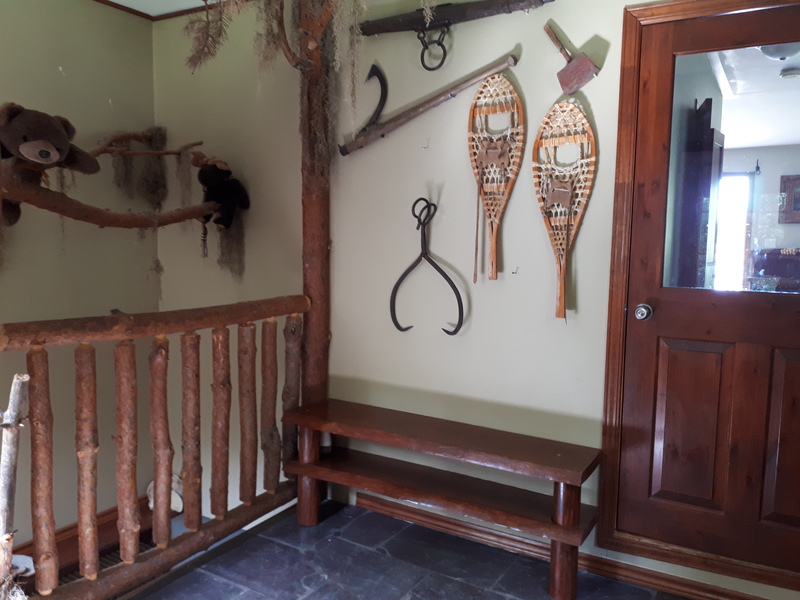 The access to the deck is from the living room where you can relax and hear the loons calling, enjoy the fresh Muskoka air, or watch the sunset while barbequing your dinner. 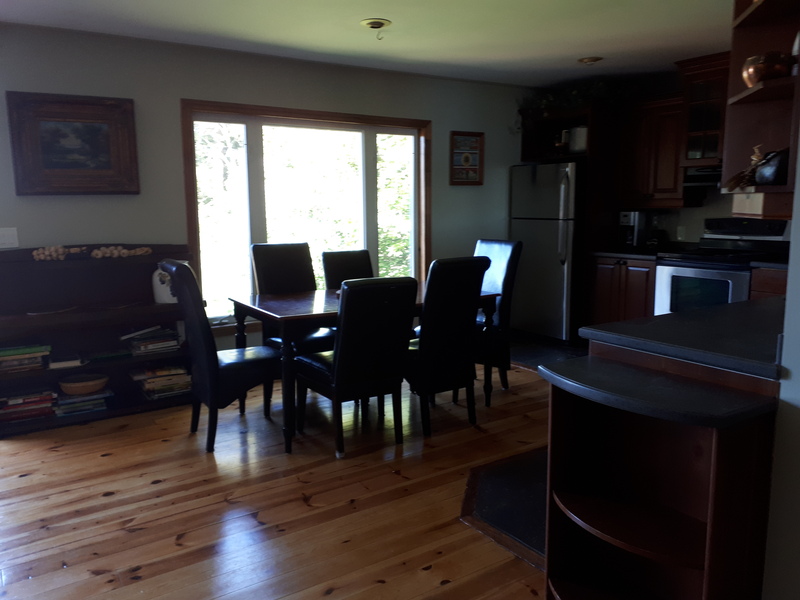 The custom kitchen is spacious with an eight person dining room table which offers a beautiful view of the lake through a large picture window. 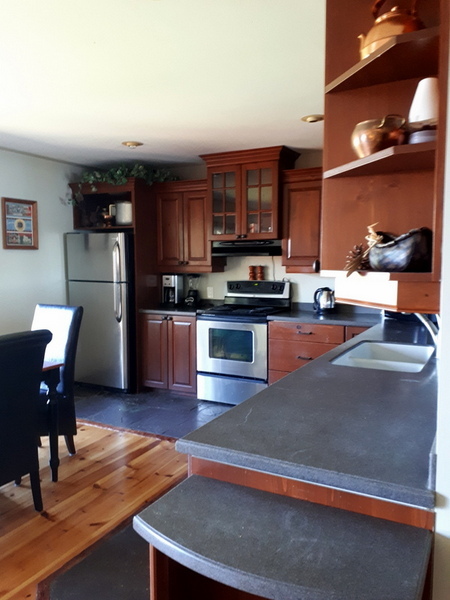 The kitchen is fully equipped and provides all of the luxuries for those that enjoy cooking and entertaining. 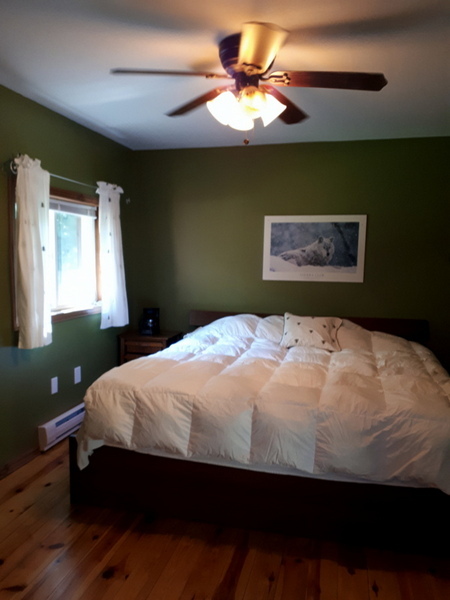 The main level also has two bedrooms along with a bathroom which is accessed by the master bedroom, as well as the hallway. 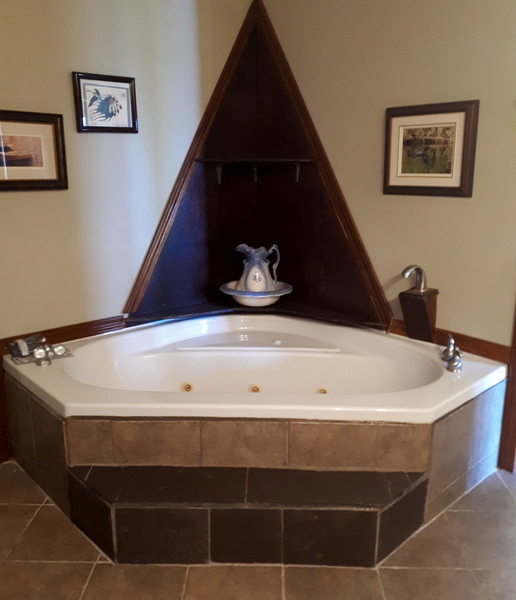 Soak in the jaccuzi tub after a long day of canoeing and hiking! 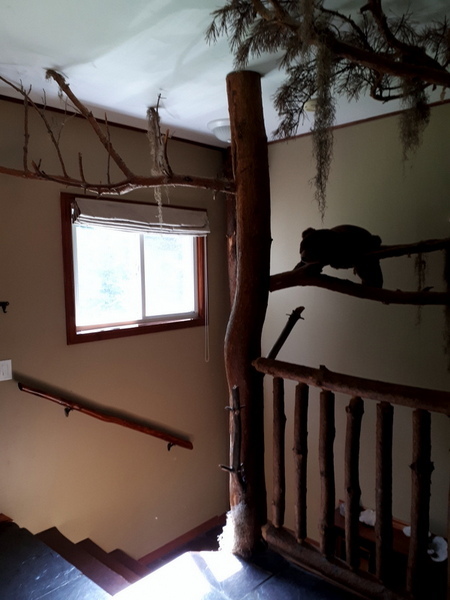 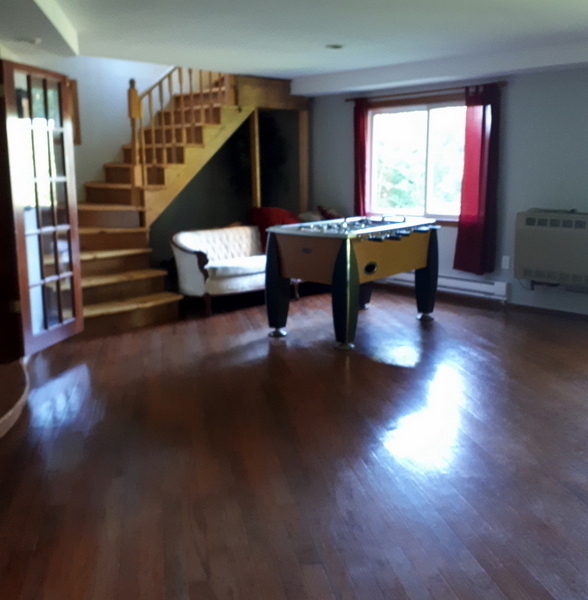 At the end of the living room area, stairs lead to the lower level which has the family room with a fuseball table, another bedroom and a bathroom. 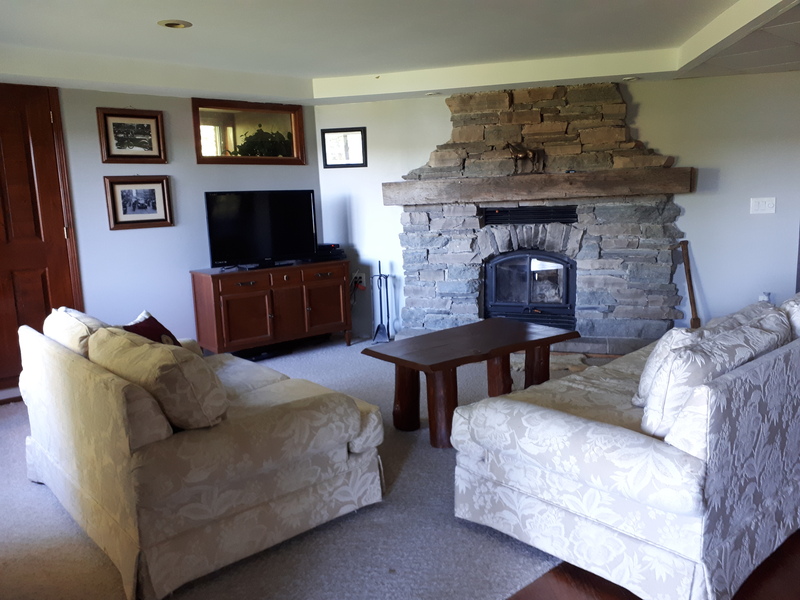 The beautiful stone wood-burning fireplace will warm you on those cooler evenings while you lay back and curl up with a good book. 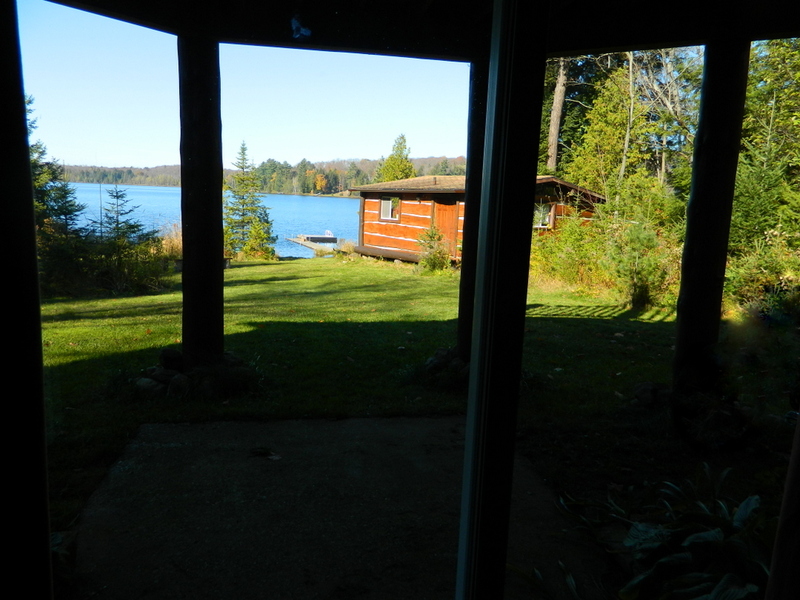 The patio door on this level is the main entrance to the lake side of the cottage, as well as the cabin. 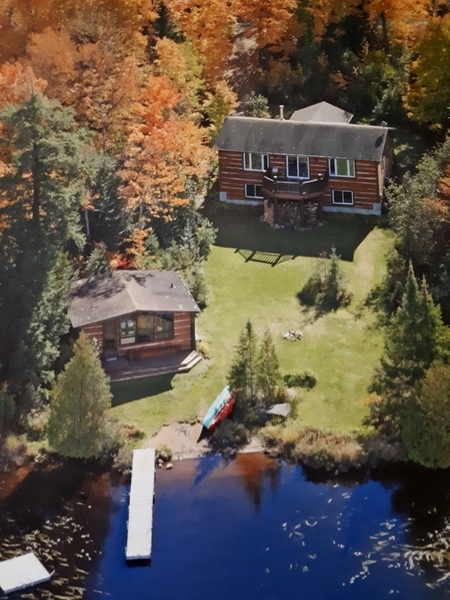 The original log cabin is an added bonus which sits really close to the waterfront. 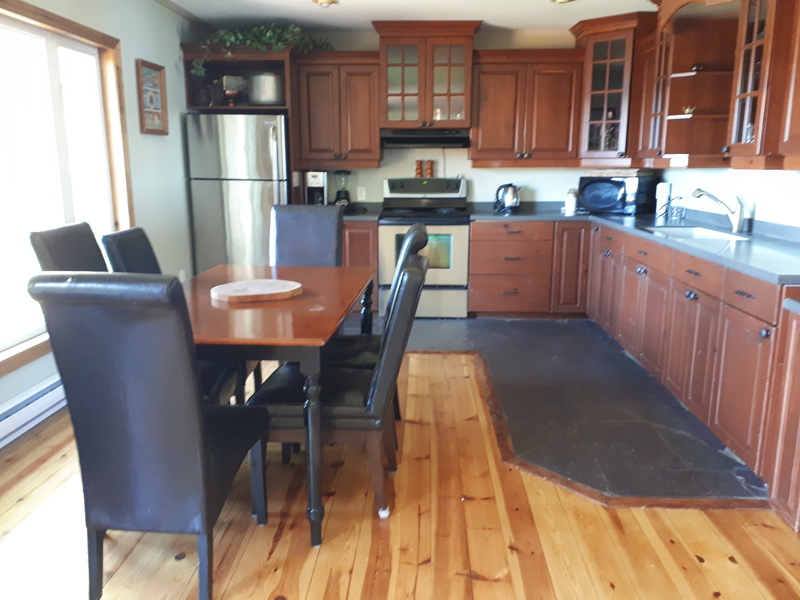 It has a tasteful decor, is comfortably furnished, and has a large relaxing pine deck only steps to the shallow sand entry and the dock. 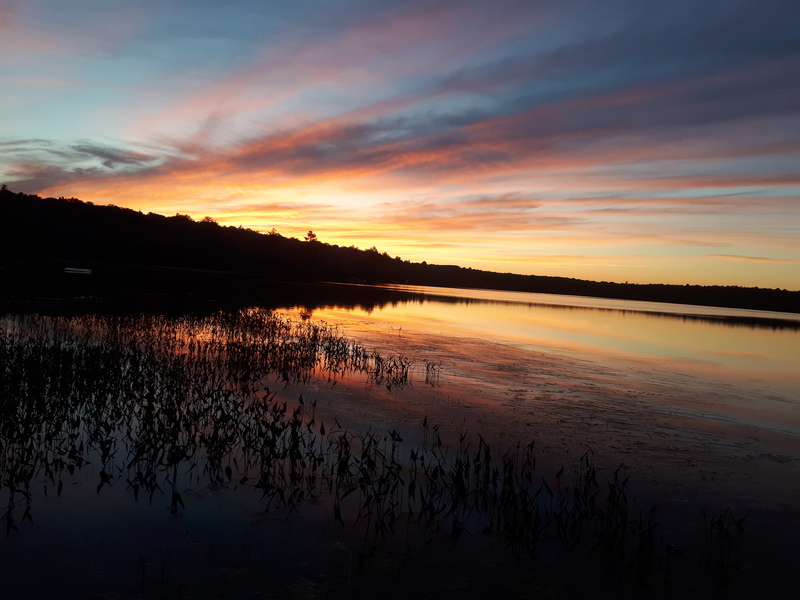 It is the perfect place to relax with a glass of wine and watch the stunning sunsets! 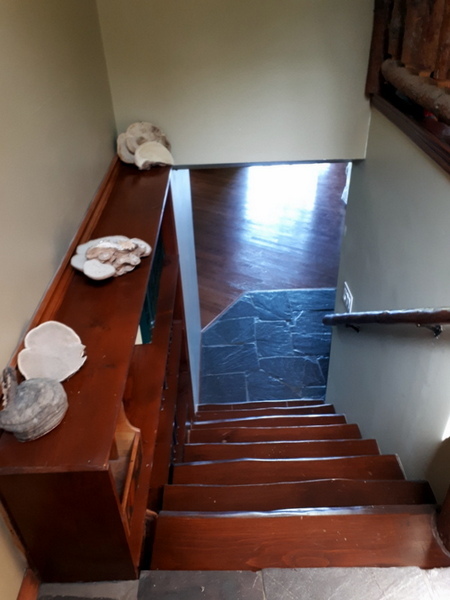 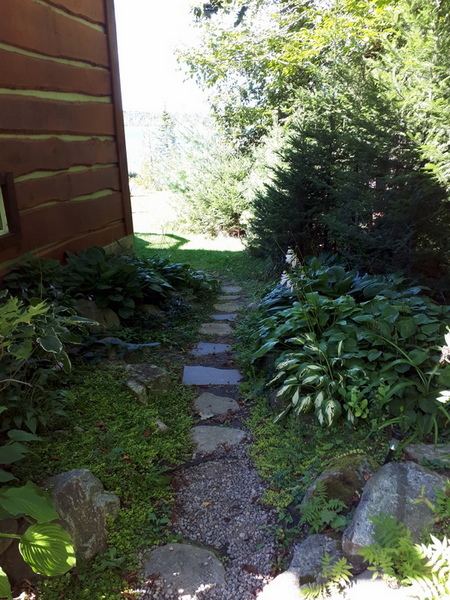 This family cottage is wonderful for children, as the property has a gentle slope to the waterfront which has a small sandy entry with shallow sand bottom, and a shallow water depth of about 3 feet at the end of the dock (soft sand bottom). 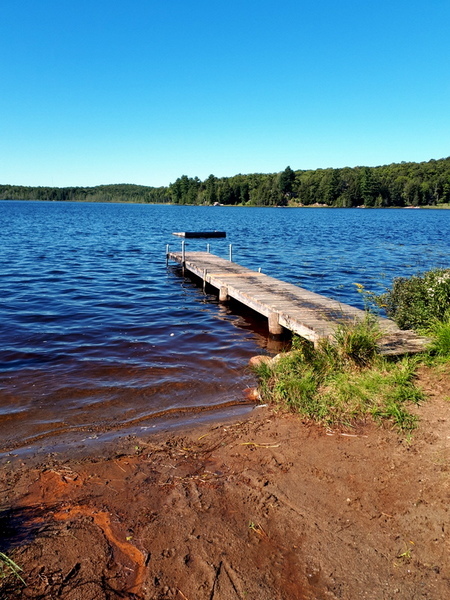 Swimming is best from the swim raft anchored in deeper water, and you can canoe to it if you prefer. 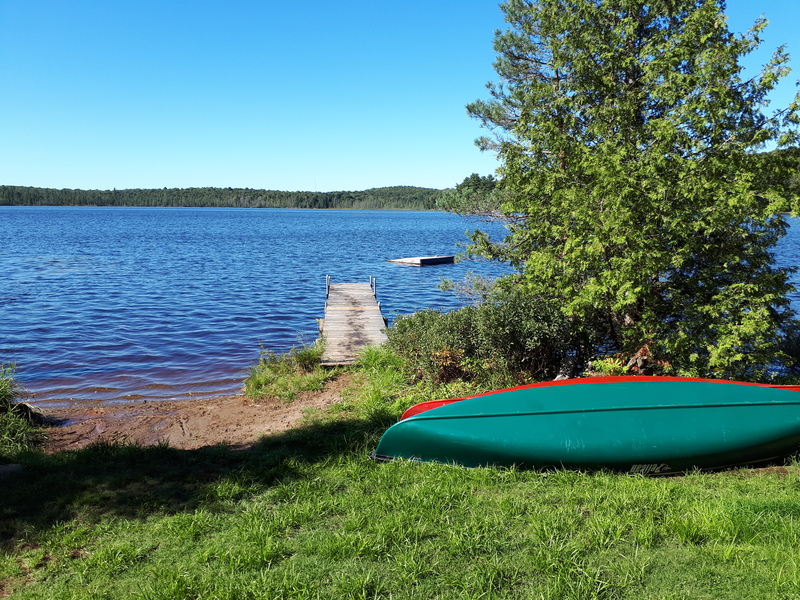 Mirage Lake is the perfect size to spend your days exploring in the canoes, fishing or swimming. 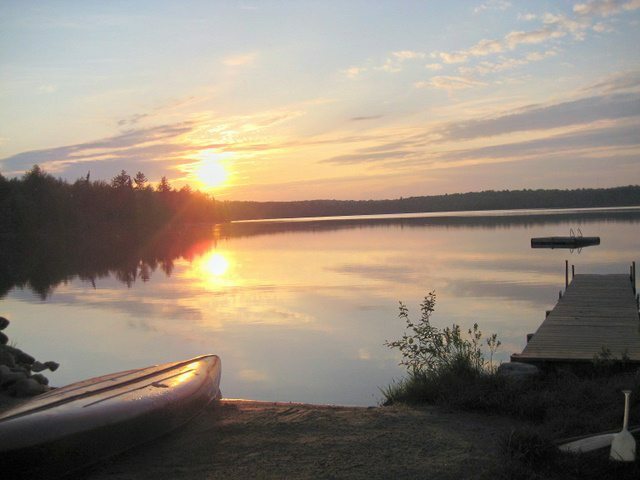 The lake boasts a variety of fish but is known for its Large-mouthed Bass. 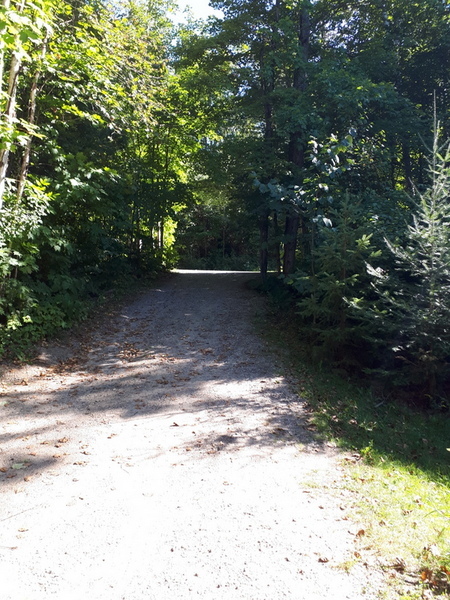 The natural waterfront provides an abundance of wildlife, and makes it an ideal spot to observe lots of fish, frogs, chipmunks, beavers, herons, deer, and an array of birds. 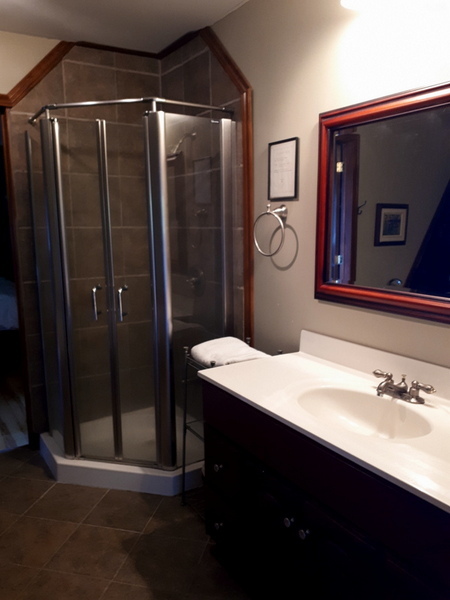 The historic Town of Huntsville is only 15 minutes away with The Algonquin Theatre, a Jazz Festival, golf courses and much more. 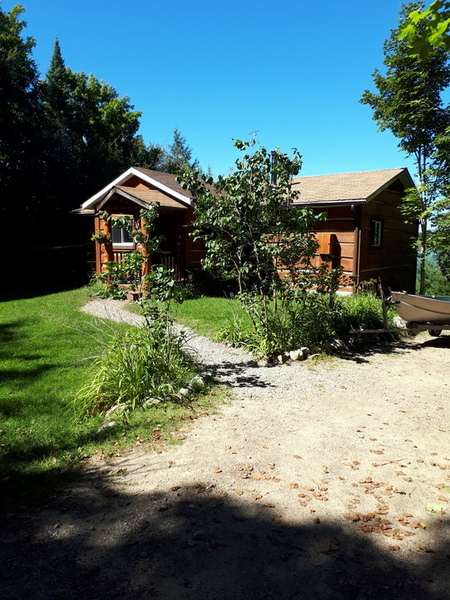 It all makes this cottage a perfect place to spend your summer vacation! 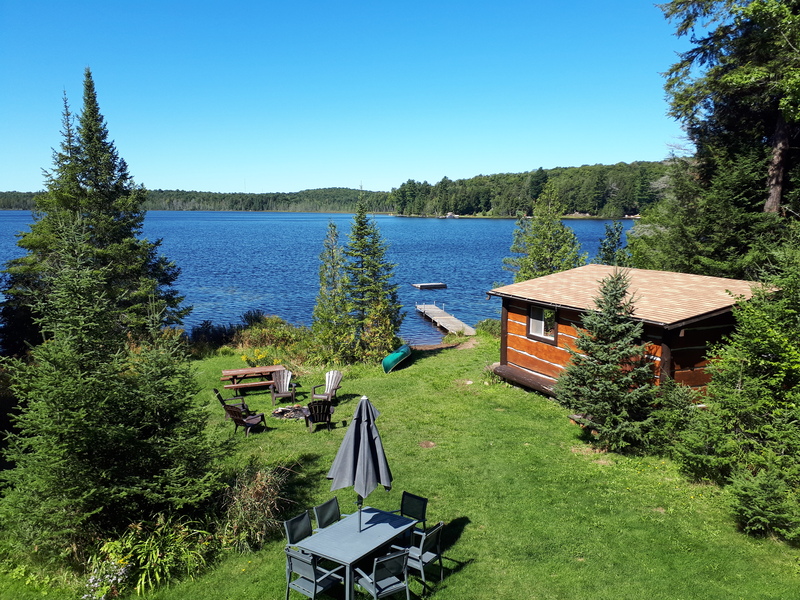 Additional Rental: Cottage #434 is nearby. 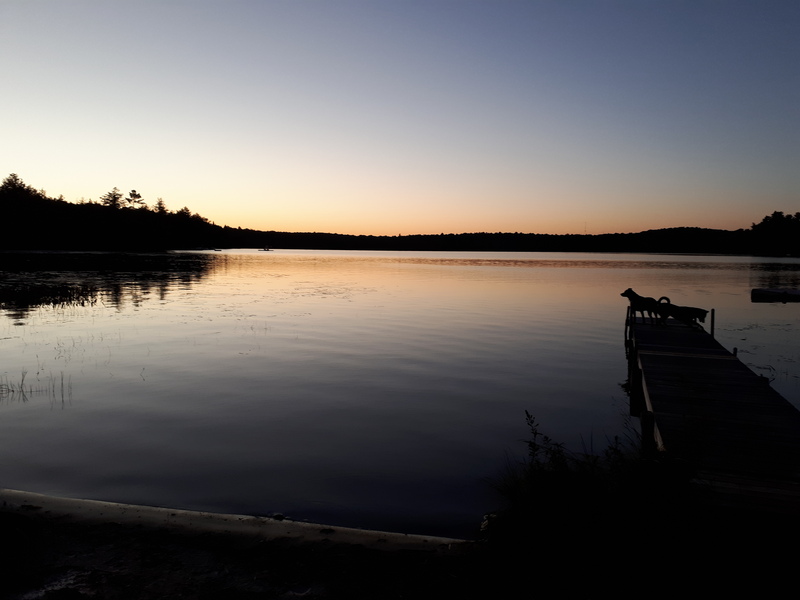 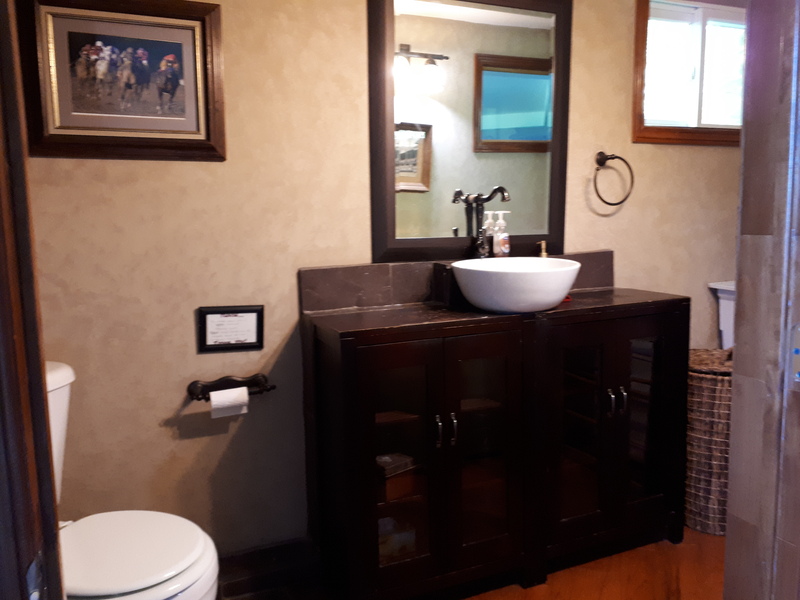 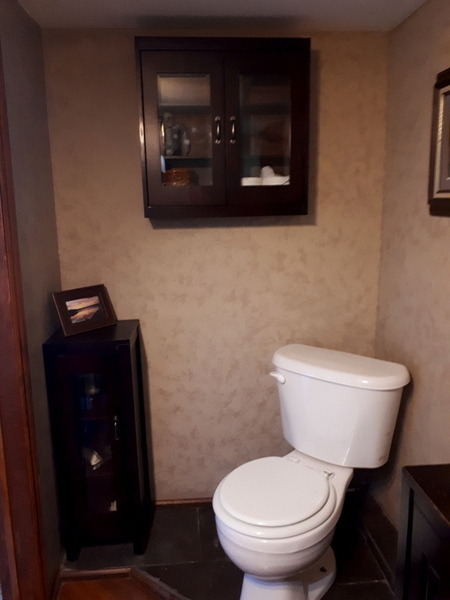 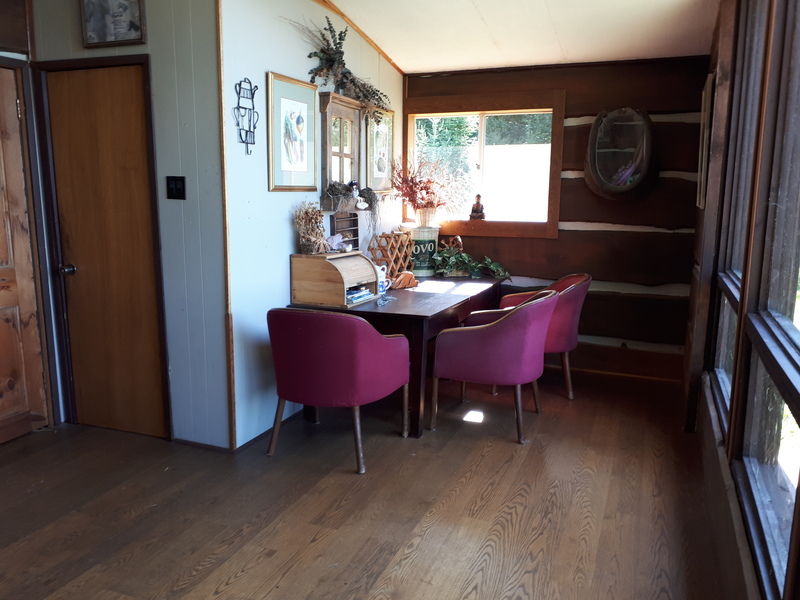 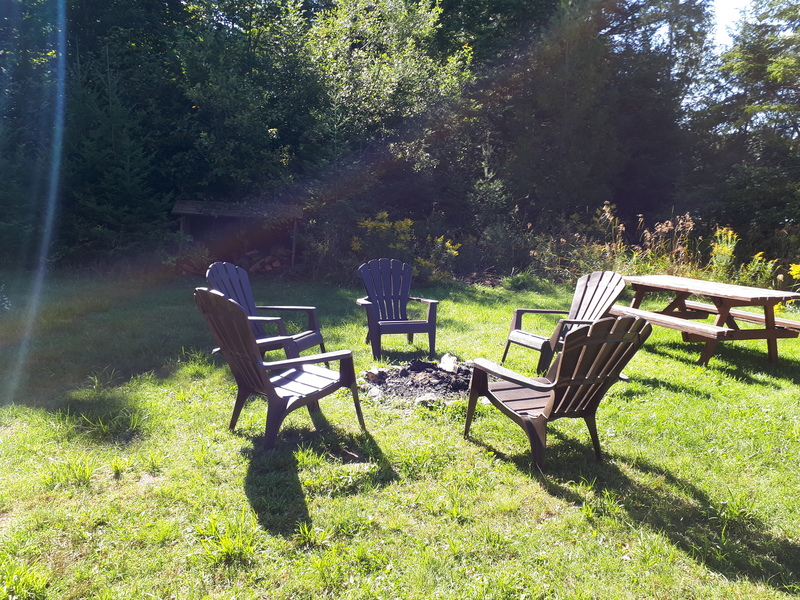 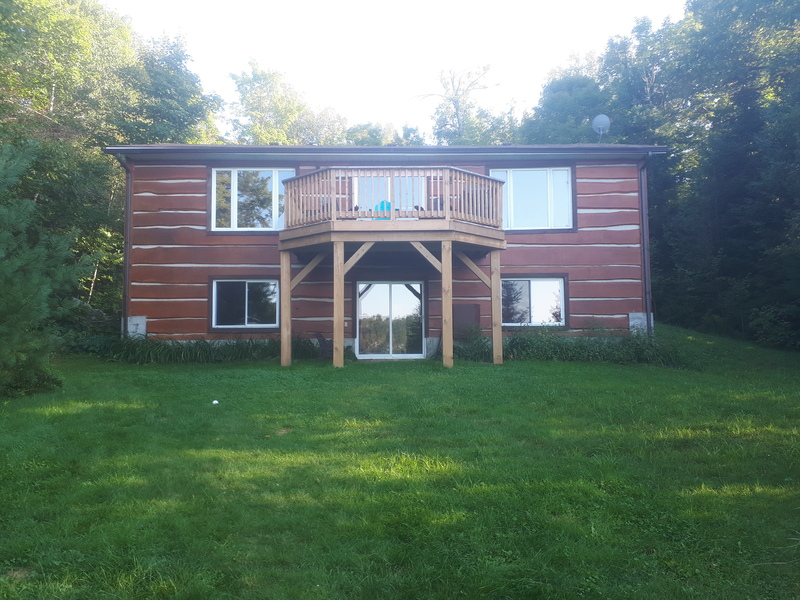 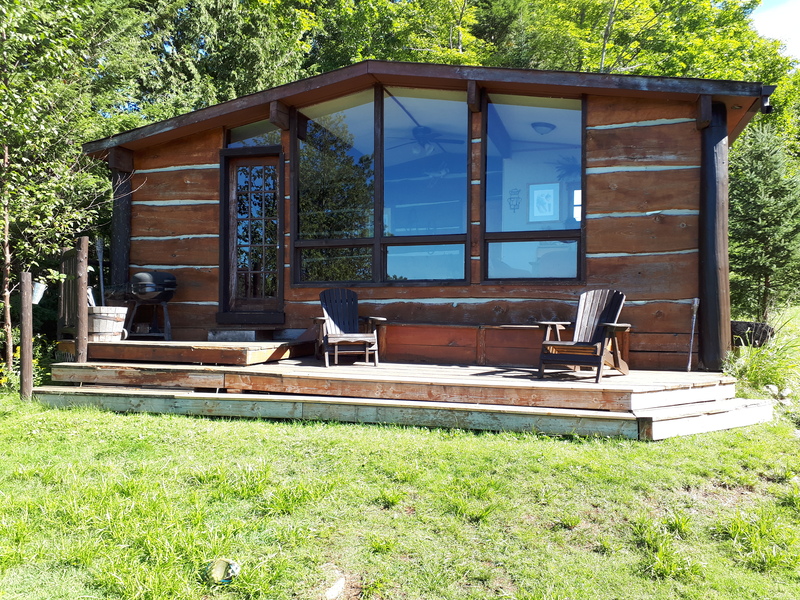 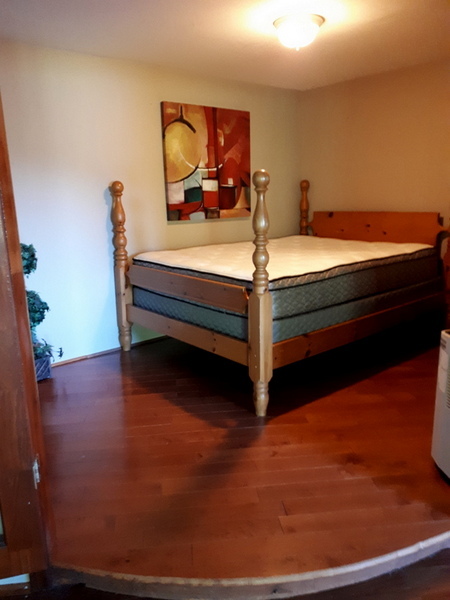 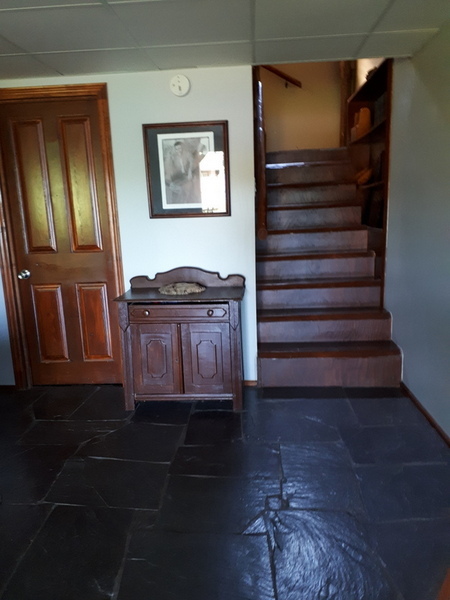 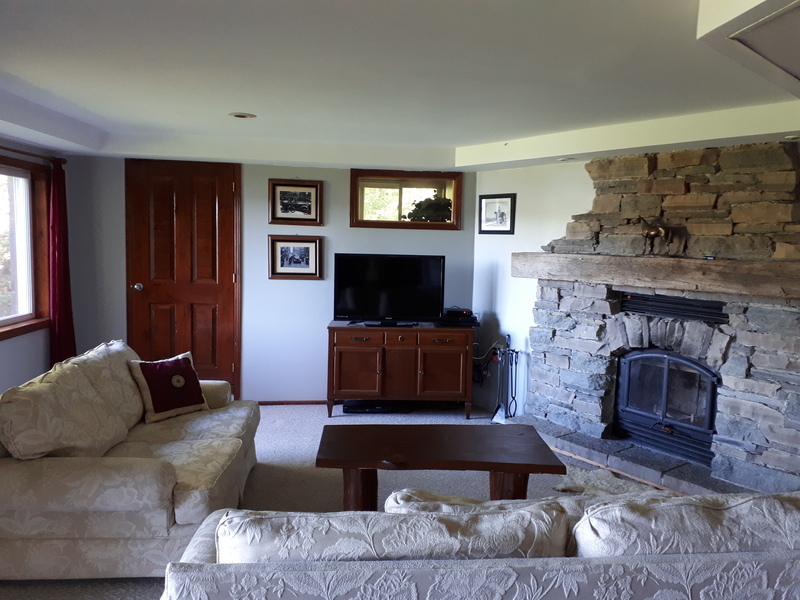 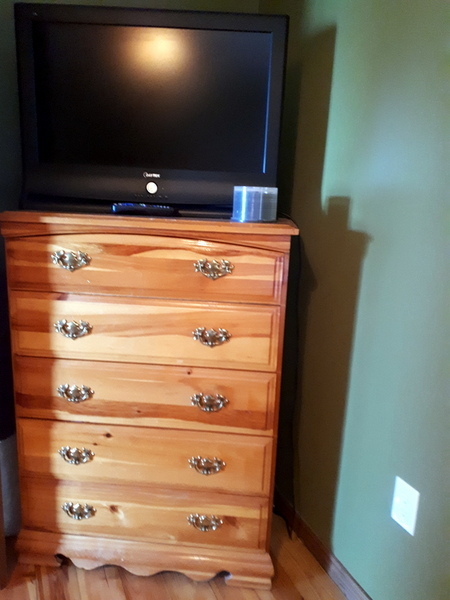 LOCATION: about 15 minutes northeast of Huntsville, 10 minutes to Arrowhead Provincial Park, 60 minutes to Algonquin Park's west gate, close to golfing and shopping/supplies. 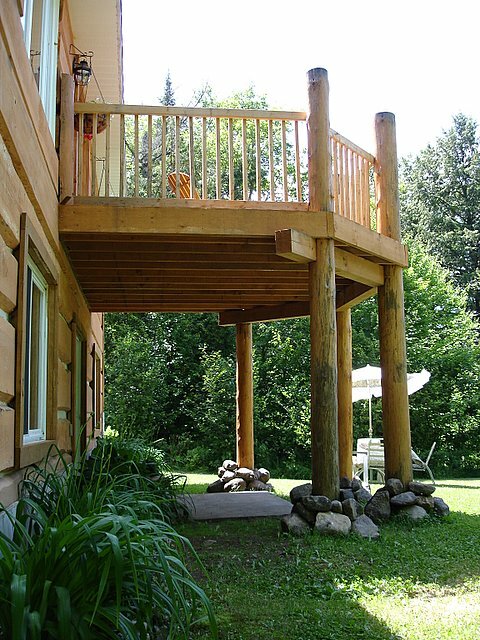 One dog or one cat allowed, with some restrictions, no smoking, maximum number of occupants is 8 ( max. 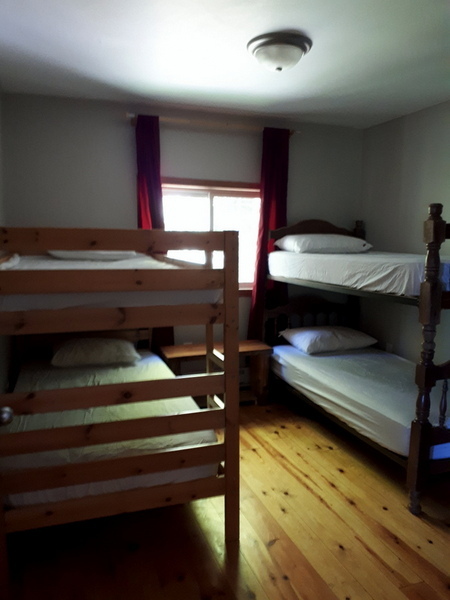 of 4 adults and 4 children), bring own bed linens and towels (king-size bed linens supplied), and drinking water, noise restriction after 11 PM.